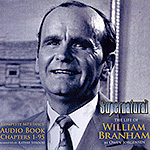 Though the first two stages of William Branham's ministry had been well established, questions arose about the mysterious third stage, the "third pull." 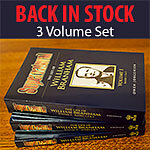 Following the leading of God, William Branham set about in the final five years of his life to deliver a series of sermons that would carry the church into an understanding of the mysteries of the scripture that have been hidden since time began. What do the mysterious symbols in the Book of Revelation mean? 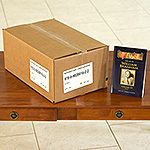 What is the "mystery of God" spoken of so often in the New Testament? These truths have been probed at, speculated on, and debated in the institutions of Christianity for two thousand years. But what happens when God Himself reveals the answers through a prophet? It has happened, and the wonderful story is here for you to read.